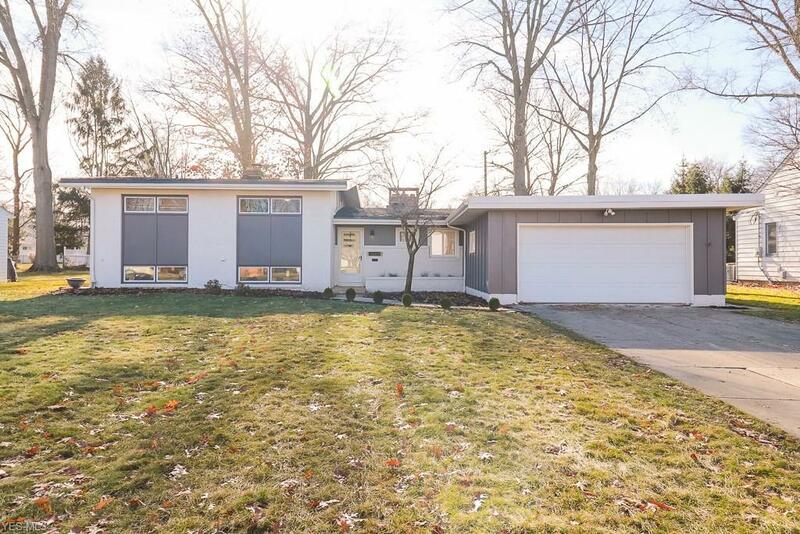 Step inside and prepare to be amazed by this stunningly renovated home in Rocky River. This 3 bedroom, 2.5 bathroom Contemporary Modern split-level features an open concept throughout. Recent updates include newly renovated kitchen with quartz countertops, new cabinets, and beautiful LED recessed lighting. The engineered hickory oak wood floors lead you passed the half bathroom, large kitchen island and built in desk, through a cozy dinning area, and into a spacious living space. It's truly the perfect layout for entertaining guests. The second floor has 3 spacious bedrooms. The private master suite will be your oasis. The en suite includes spa like bathroom with walk-in master shower, and a walk-in closet. Renovated full bath as well on the second floor. On the lower level you will find a spacious recreational room with a plethora of natural lighting. Updates also include: Newer electrical panel, new roof, new kitchen, updated 2.5 bathrooms, new flooring throughout, new light fixtures, new electical in bathrooms and kitchens, new paint interior and exterior, and custom barn doors.